Nowadays, in the world there is only one name “DomainRacer” web hosting service provider. Really, DomainRacer is very best and trustworthy web hosting dealer. DomainRacer is cheap and best web hosting provider in the globe. 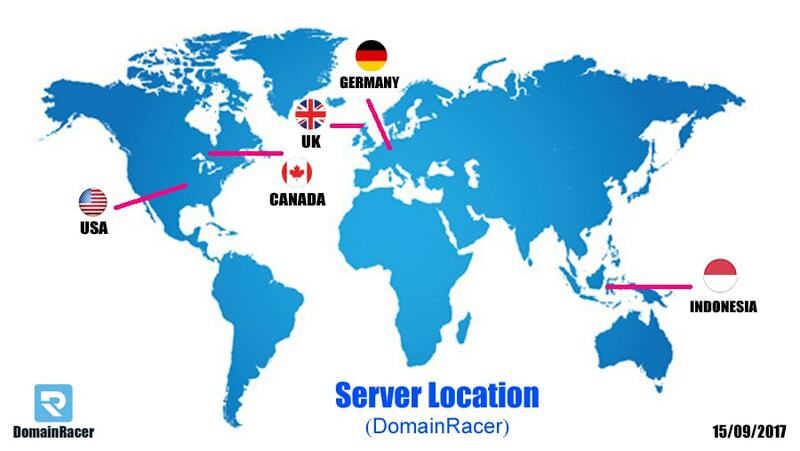 DomainRacer has globally high-performance data center server location in the UK, USA, Germany, Singapore and Canada etc. Known for their 21x Faster Speed LiteSpeed Technology and reliable services. So there is no any impact of server location on your website. DomainRacer provides its services in different countries location like India, UK, USA, Germany, Canada, Singapore, South Africa etc. Means almost we offer their services worldwide globally. DomainRacer offers multiple hosting services – Web Hosting, Reseller Hosting, Domain Hosting, WordPress Hosting and VPS Hosting etc at affordable and cheapest to their customers. You know what – In today’s web hosting industry DomainRacer is only one web hosting provider which provides unlimited services with their cheapest plans.